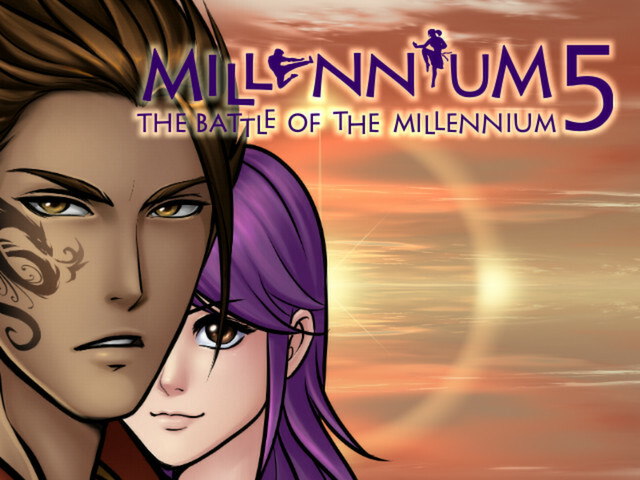 Millennium 5 draws the Millennium series to its epic finale, as the fate of an entire kingdom will once and for all be determined in a tournament of strength and skill. Hope, in the form of a teenage girl named Marine, has withstood the onslaught of doubt, despair, tyranny, dishonesty, and poverty, demonstrating that hope truly has the power to overcome all. Despite hope’s many enemies across 5 episodes, Marine has shown a fierce determination that has changed the lives of so many others, several of whom now stand with her as the one event that will change history approaches. As has been the reason for this series spanning journey, Marine’s ultimate goal is to challenge Mystrock Kingdom’s government through the Martial Law, a statute that allows anyone to form a group of 13 to challenge the warrior representatives of the ruling body. At this point in our story, Marine has found and registered her 13 and are preparing for a last stint of training before the showdown in one week’s time. In typical Millennium fashion, however, the main plot for this episode follows a similar formula for the other games, in which this overarching plotline takes a temporary backseat to a lesser, slightly tangential, storyline. As our group begins their last week of training, their teacher and most powerful warrior, The Bear, falls ill and it’s up to the rest of the team to seek out help, gather materials, and administer a cure. Only after the adventures that unfold does our band of fighters finally focus on the tournament. On one hand, I’m a bit surprised Millennium 5’s plot uses the same style as the previous episodes, in that a new conflict drives, in this case, about half of the game, especially since this is Millennium’s final chapter. It feels as if the tournament is again reduced to a device indicating dwindling time and abating hope, as well as simply being used as a constant point of stress for the characters. This is supposed to be an event that changes the fates of everyone, not just the people involved in the fighting. That weight or that heaviness and importance the main plot should be carrying feels inconsistent. While glimmers of that gravity are dispersed throughout the game and shows up more so during the final stretch, our attention is first diverted to helping The Bear and exploring more uncharted lands for the sake of collecting ingredients. And although this in itself features its own elements of rushing, stress, and danger, I wish the training aspect of this episode had received a more prominent role and similar depth. I wouldn’t be so distraught with this side-story were it to have happened back in Millennium 3 or 4, but I expected a higher level of emphasis on the main plot, one that the entire series has tried to imply. Having said that, the game does end up doing a remarkable job of instilling emotional depth and a palpable sensation of finality and significance once the crash course training takes place and takes us to the end. 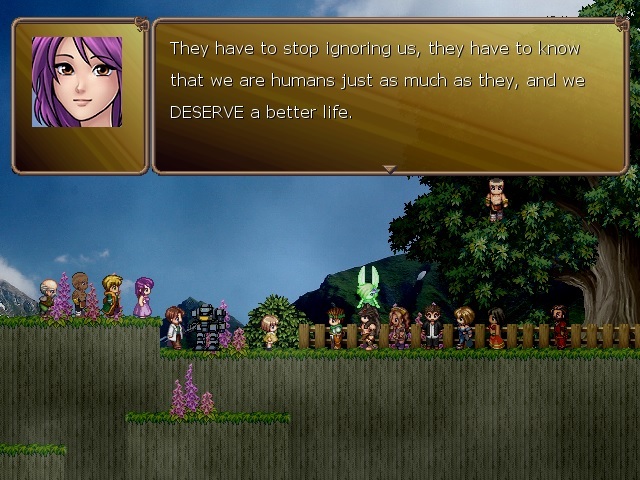 This half of the game is also where we see the majority of our character development take place. Marine, once again pushing The Bear to put them through hell in one final attempt to prepare themselves, has her willpower and stubbornness on full display. The time between the training and the tournament also possesses a solid amount of depth, as many of the characters we’ve come to know reflect on their journey together, ponder their futures, and even hint at their growing feelings towards one another. While I am still distraught that some characters, such as Wolfgang, never received any real development, other characters, like The Bear and newcomer Blondie, receive a degree of development that is a pleasure to experience. 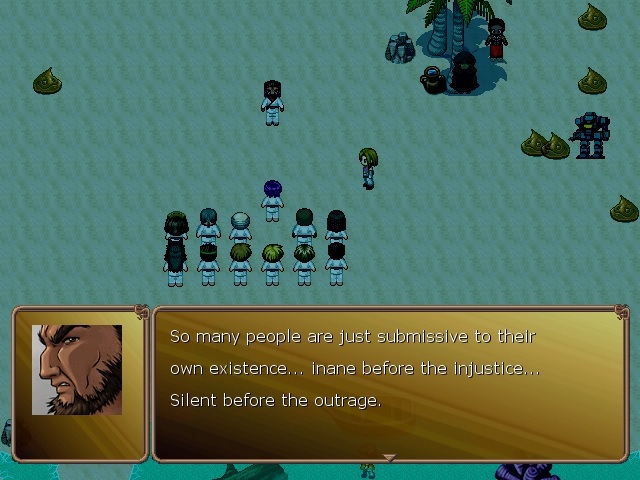 Other characters too, such as Jezabel, Salome, and Jack, have spotlight moments that show different sides of their personalities. And, there are moments between characters scattered throughout the game that are just as noteworthy, making budding relationships and potential romances more believable. I do wish we had seen more of this relationship building at least hinted at in previous chapters, but I appreciate very much its inclusion here. My only complaint is the troubling scarcity of character specific details at endgame. I was left wanting far more than what we get and it gives a rushed, unsatisfying feeling, especially since we have come to know these characters across 5 episodes. Stronger, character driven closures should have been present (and perhaps obvious to this epic tale) and it’s disappointing that they’re not. Having said that, Millennium 5 definitely features some of the best character building in the series and has memorable emotional depth and more than enough story intrigue at this point to carry us to the finale. Moving to gameplay, Millennium 5’s gameplay structure receives a bit of alteration compared to its predecessors and the results are highly noteworthy. One of my biggest complaints with Millennium 4 was with the many lockout points for starting and completing quests, as well as hunting for secrets. Millennium 5 more closely resembles Millennium 3, with more freedom to explore and fewer lockout points. There are still lockout points for certain characters in regards to their access to certain resources, but it’s far more manageable and less unpredictable. For example, there is an all-encompassing guild in the beginning of the game, but as events unfold, certain characters lose their access to this guild sooner than others (guilds are a means to increase stat levels for a stiff price). While it could make a difference later in the game, it’s still not the biggest loss for unaware players. Another example is the lockout for class promotions. Improving class affects the stat increases for level ups. While some characters do get locked out from their ability to promote their class once training begins, this doesn’t occur until late game and none of these specific characters are tournament participants. So again, unwary players will not suffer a major disadvantage. Another difference in gameplay, one that I actually really enjoy and wish had been featured in earlier episodes, is the breakup of the group into smaller parties. This style allows for several branches of the plot to occur in tandem and also allows for more opportunity to use this wide range of characters. When you have all of your characters to choose from, some of us may tend to favor only a few individuals and that results in others being ignored and underused. By breaking the large group into more manageable parties, we get the opportunity to better explore each character, as well as give them the chance for growth and turn them into capable fighters. Through this, I found that I actually preferred fighters that I had once neglected over my more frequently used characters. This gameplay style also lines up nicely with the relationship building narratives that occur during the searching portions in the first half of the game. I always appreciate it when gameplay and story complement one another. The most unique element of gameplay is the tournament itself. 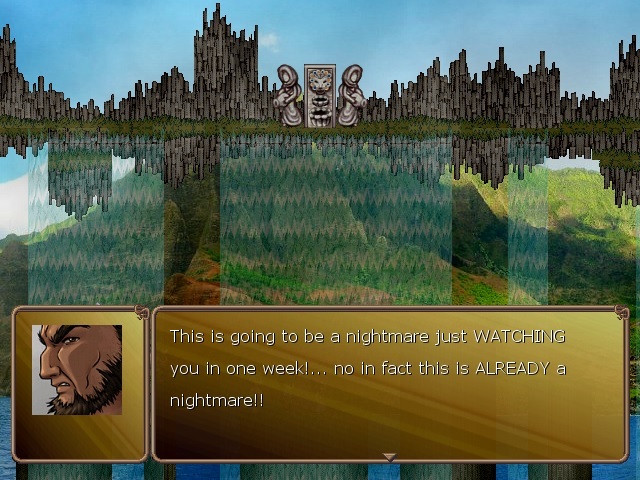 This tournament pits every one of your fighters against every enemy fighter for a gauntlet of battles. The tournament is points based that you earn through victories. This may not seem special, but through this, 3 game endings are possible. If you lose (below 79 points) or if you win with a high point score (above 85), you’ll get a bad and regular ending respectively. Unlocking the true ending forces you to earn 80-84 points. Depending on your levels, this may be a struggle, as every enemy can be tough and some are intentionally unbeatable. Or, it means that you’ll earn the 80+ and must lose of purpose. Needless to say, I didn’t much care for this, as there really is no need for forcing us to hit this magic point range. Underleveled and just perfectly leveled players may not have any issue with this, but I feel the devs could have just left it as a win or lose condition and explain the true ending events through plot afterwards. I don’t like losing on purpose, with the unwinnable matches and particularly after grinding for a very greatly hyped showdown. Outside of these changes, gameplay remains a familiar mix of turn-based combat and point-and-click mechanics. 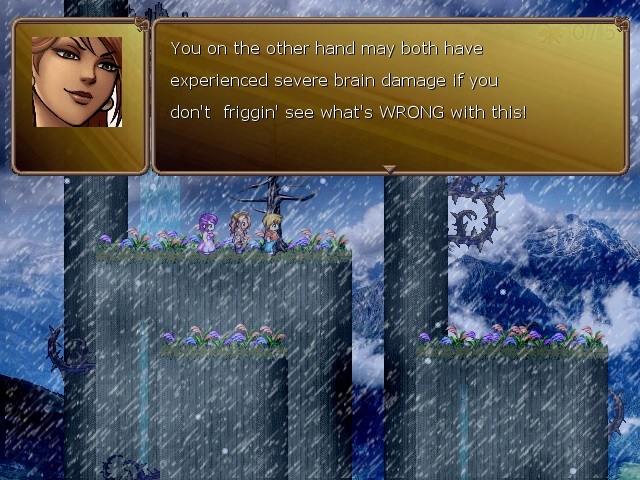 Combat, similar to Millennium 4, is hand-to-hand and characters improve through hit count. This is why I appreciate the breaks into smaller parties, as now every character has many opportunities to participate in battles, increase their hit counts, and subsequently increase their attack power. Jeanne the fairy will still provide support when called and both she and non-registered characters will still be available up until the tournament. 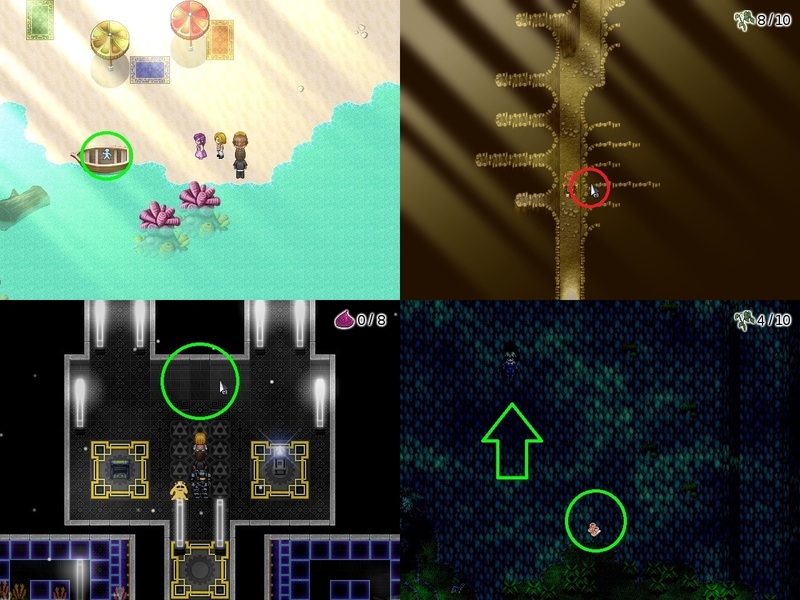 As for the searching mechanic, it resembles its Millennium 2 form, in that while it’s more difficult to find Secret Rooms and other secrets that lack a corresponding mouse pointer icon change, there is better use of environmental visual cues. At this point, gameplay should be a familiar experience and although moments of staleness and frustration may peek through, simple mechanics and satisfaction are the vast norm. The aesthetics of the Millennium series have always been a high point and Millennium 5 is no exception. I have and continue to enjoy the look and feel of this series and 5 carries on the tradition of brilliant visuals and a praiseworthy soundtrack. While most everything you see and hear is familiar, it is no less fantastic. What I especially enjoy is the new artwork, beautifully depicting scenes and bringing a striking visual emphasis to conversations or events. The artist’s talents are on full display with these CGs, but it’s absolutely disheartening that there are only two of these CGs in the entire game. Had these wonderful CG pieces been a mainstay throughout the series and in more abundance, then I believe the visuals would have elevated the overall depth and immersion of these games exponentially. I realize creating such pieces of art is difficult, to say the least, but the results would have been truly outstanding. I am left wanting so much more from this talented artist. As for the audio, again, familiar and fitting tunes bring welcome immersion and ambience, as locales and unfolding events are enhanced. Through 5 games, I am left wanting more because of how much I enjoyed the music. The aesthetic beauty of Millennium 5 and the entire series has been a real pleasure and I look forward to experiencing it all again in future playthroughs. Millennium 5 is a gem, bringing to a close a very epic, emotionally driven, and tangentially full adventure. Marine is a character that will forever stay with me, as her hope and determination, as well as her wide range of emotions are all inspiring and relatable. We get to see the best of all these characters as we become witnesses to the finale of this incredibly fantastic journey.